Mzumbe University was established by the Mzumbe University Charter 2007 (established) Made under section 25 of the Universities Act. No. 7 of 2005 which repealed the Mzumbe University Act No. 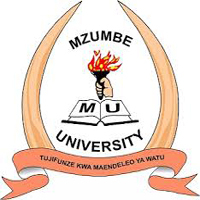 21 of 2001 Mzumbe University is a public University and operates under the Ministry of Education Science and Technology. The University has over 50 years of experience in training management, administration of justice and good governance. Mzumbe started in 1953 as a local government school, training chiefs, native authority staff and councilors. After independence, the scope of its activities was expanded to include training of government officials, rural development officers and local court magistrates. In 1971 it was transformed into the Institute of Development Management (IDM) and later in 2006 into a fully-fledged University. iii. Prepare an analysis of costs and benefits so that management can decide if information systems and computing infrastructure upgrades are financially worthwhile. iv. Devise ways to add new functionality to existing computer systems. v. Design and develop new systems by choosing and configuring hardware and software. vi. Oversee the installation and configuration of new systems to customize them for the organization. vii. Conduct testing to ensure that the systems work as expected. viii. Train the system’s end users and write instruction manuals. Holder of B.Sc. 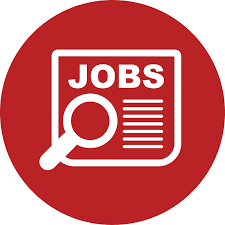 Degree in Computer Science or Information Systems; Telecommunication; Computer Engineering; or related computer studies OR has completed appropriate professional level of IT Industry Standard Certification from an accredited institution. Salary Scale Salary Scale: PUSS 4.1.
i. Assists in standard software installation. ii. Assists in hardware installation. iii. Assists in trouble shooting IAN and hardware/software problems. iv. Assists students and other ICT users in the Department/Faculty/Institute/Directorate. v. Performs any other duties assigned by superior. v. Develops and Maintains Website and intranet.